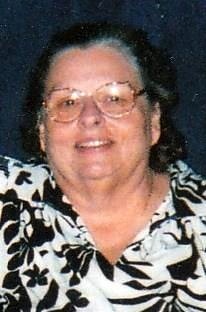 Virginia (Jeannie) Shaumeyer, 73, of Olathe, Kansas passed away on Friday, November 11, 2016.Virginia was born on November 26,1942 in Kansas City, Kansas. to Leon Everett and Neva Ruth (Brock) Harris. She grew up on Pearl Street in Kansas City, Kansas. She went to Snow School and graduated from Rosedale High School in 1960 (she still remembered both school songs). She worked in the Purchasing Dept at KU Medical Center where she met her husband-to-be Bob. They were married on Feb 14,1969 and had 47 years of wonderful married life. She worked at KU until 1971 when her son Bill was born. She was an excellent stay-at-home mom to Bill and Steven who was born in 1974 while Bob took evening college classes. After the boys were grown she returned to work for Kansas SRS Voc Rehab Dept. Even with several disabilities Virginia was able to operate a wedding business helping many couples with their wedding flowers, reception cakes, decorations and coordinating their service. She also created Sugar Art Easter eggs, Christmas items, baby blocks and for all other special occasions. Virginia had a heart for others and was a very caring person. She was a member of the Church of the Nazarene and attended Rainbow, Nall Avenue and College churches. Virginia is preceded in death by her Mother and Father and her sister Suzanne Carroll. She is survived by her husband Bob, her sons Bill and Steven, their wives Lila and Kristi and grandchildren Alexandra, Erica, Jacob, Jesse and Joshua whom she loved dearly. Virginia is also survived by her sister Eleanor Mochel and her aunt Norma Brock. She will be sadly missed by her cousins, nieces, nephews and many close friends. Graveside Service 2:00 p.m. Thursday, November 17th in Oak Lawn Memorial Gardens 13901 South Black Bob Road Olathe, Kansas. Visitation 5:00-8:00 p.m. Wednesday, November 16th at the McGilley & Frye Funeral Home 105 East Loula Street Olathe, Kansas. Virginia had many ailments. In lieu of flowers, please donate in her name to an organization of your choice dealing with arthritis, asthma, diabetes, dementia, and/or kidney diseases. Arrangements under the direction of McGilley & Frye Funeral Home & Cremation Service, Olathe, Kansas.